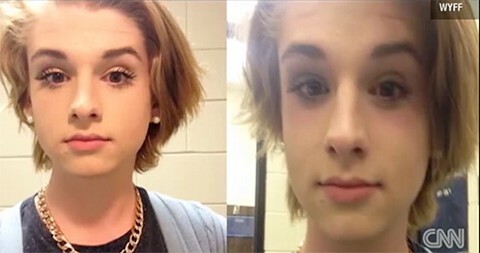 In March, 16 year-old South Carolina resident Chase Culpepper was told by the state's Department of Motor Vehicles to remove the make-up he wears on a daily basis otherwise he would not be allowed to take his driver's license photo. The DMV employees claimed that he did not "look the way a boy should" and was not allowed to wear a "disguise" in his photo as he needed to "look male". Chase removed as much makeup as he he could so he could get his license but reported feeling humiliated after the incident.